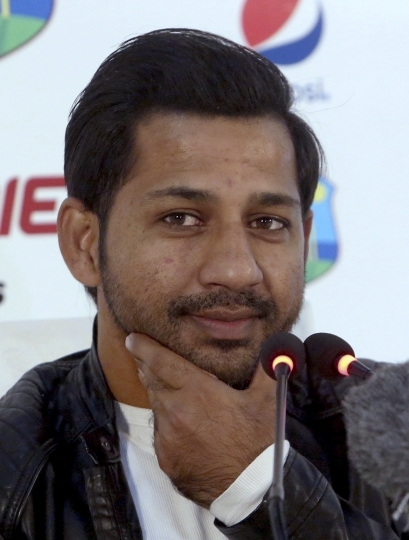 ISLAMABAD — Pakistan's banned captain Sarfraz Ahmed hopes his four-match suspension will not deny him the opportunity to lead his country in the World Cup in England later this year. 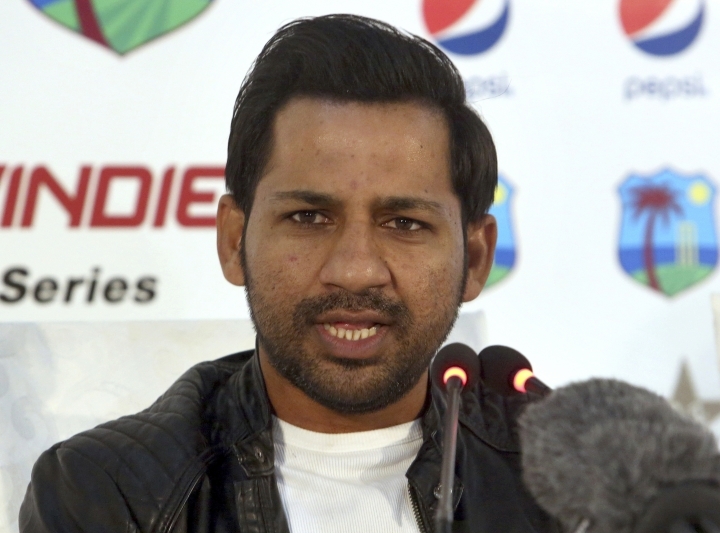 "The decision is with the Pakistan Cricket Board, but I have got positive vibes about it that I will be the captain for the World Cup," Sarfraz told reporters in the southern port city of Karachi on Sunday. Sarfraz witnessed the third and final Twenty20 match between Pakistan's women and the West Indies as the home team won it by 12 runs, but lost the series 2-1. Sarfraz has successfully led the world's No. 1-ranked Pakistan team in the Twenty20 format since being named captain in 2016. He also captained Pakistan to a historic victory in the Champions Trophy in England in 2017 when Pakistan was ranked at No. 8 in the eight-team event. Last month, the ICC suspended Sarfraz for four matches under its anti-racism code for a an on-field taunt aimed at South Africa allrounder Andile Phehlukwayo. In the incident, Sarfraz, the Pakistan wicketkeeper, was heard on a stump microphone saying in Urdu: "Hey black man, where is your mother sitting today? What (prayer) have you got her to say for you today?" PCB chairman Ehsan Mani reportedly criticized the ICC for handing Sarfraz the punishment after the cricket board and the Pakistan captain "had cleared the air." Sarfraz said the word "black" was played up in the media while Phehlukwayo had reservations about the words used by the Pakistan captain about his mother. "Only one word was played up in the media," Sarfraz said. "He (Phehlukwayo) told me that I used wrong words about his mother, but I told him that being a Muslim we believe that whatever success we achieve it's because of our mother's prayers and that I did not use the words in the wrong context." But Sarfraz said he won't change. "My nature won't ever change and all those who have covered me since I played at club level know it very well," Sarfraz said. "I do the captaincy like that, I talk a lot behind the stumps." This year too, the World Cup will start during Ramadan and Sarfraz said it could bode well for Pakistan again.